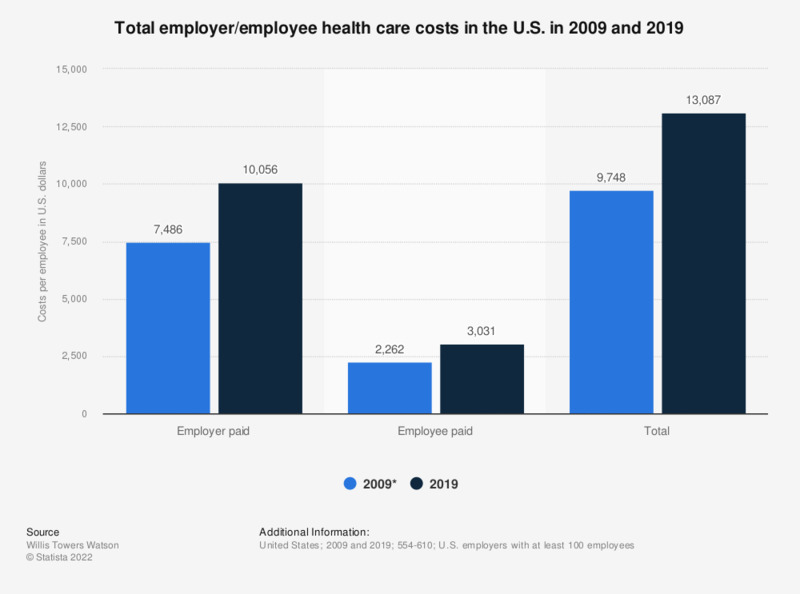 This survey illustrates U.S. company's total health care costs divided by employer and employee, comparing 2009 and 2018. In 2009, the total health care spending amounted to 9,748 U.S. dollars per employee, of which 2,262 U.S. dollars were paid by the employee, and 7,486 U.S. dollars were covered by the employer. Respondents collectively employ 11.4 million full-time employees and operate in all major industry sectors. * Values added from an older survey.